The warmest part of the year in the Caribbean is May through October, where the temperatures are consistently over 70 degrees (which helps keep the waters at a comfortable temperature for things like snorkeling and SCUBA on excursions). But for others, the 90°+ highs from June through September may make beaches too hot to enjoy them. May through October is the rainy season in the Caribbean. Each of those months, the average rainfall is above five inches. During this time frame, you are more likely to have excursions interrupted by rain. But extended rainstorms (other than hurricanes, which will be discussed separately) are rare. Typically, Caribbean rainstorms blow through quickly. So while there may be more days with rain, the rain is unlikely to have a substantial impact on an entire day. The least rainfall in the Caribbean occurs between December and March, when average monthly rainfall is 3 inches or less – just 1/10 of an inch per day. Officially, the Caribbean hurricane season runs from June 1 through November 30 each year. But the vast majority of strong hurricane storms occur between mid-August and late October. (Though there are certainly exceptions). Hurricanes can have a major impact on your cruise, even if the cruise itself is not affected. They can be large and slow-moving, and may affect your travel to your departure port, cause the cruise to be re-routed to avoid a storm (changing your itinerary on the fly), or even lead to the cancelation of cruises in rare occasions where the magnitude of a storm makes travel unsafe. 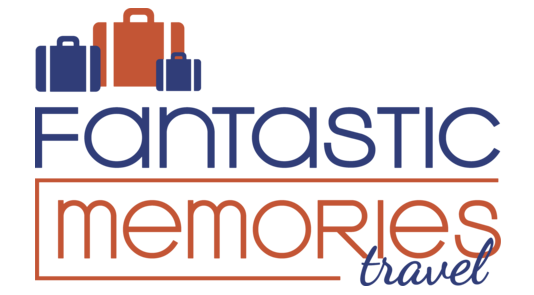 If you do travel during hurricane season (when prices are lower) travel insurance is especially important. And it’s also even more important than usual to arrive in or near your departure port city AT LEAST the day prior to you scheduled departure. While published schedules may suggest that there’s plenty of time for you to take a morning flight to your departure port, those reports are only valid when everything works as it should. Any plane delays along the way, flight cancelations, and/or re-routing may cause you to miss your cruise departure on the same day. For many families, one of the most important aspects of vacation planning is ensuring that children miss as few school days as possible for their vacation. Deciding whether to take a child out of school for a vacation is an intensely person decision. But it is clear that the more students are out of school, the higher cruise prices seem to go. So cruising during the school year can mean substantial savings. 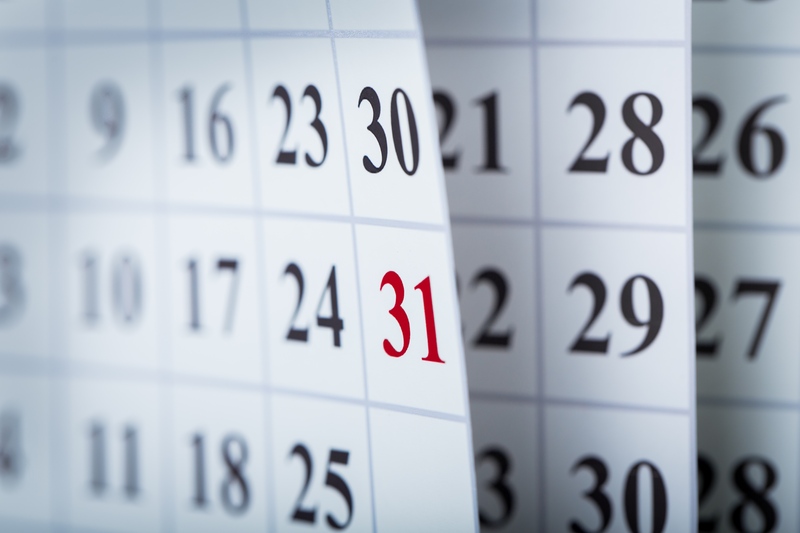 Most school districts publish an official calendar roughly one year in advance. When looking for a good blend between the cheaper “out of school” pricing and avoiding missed school days, watch for those “one-off” breaks, where YOUR school is out, but most others will be in session. Do you have school conference days, followed by Fall Break? Those kinds of school days off are unlikely to be the same across multiple school districts, even within the same city. 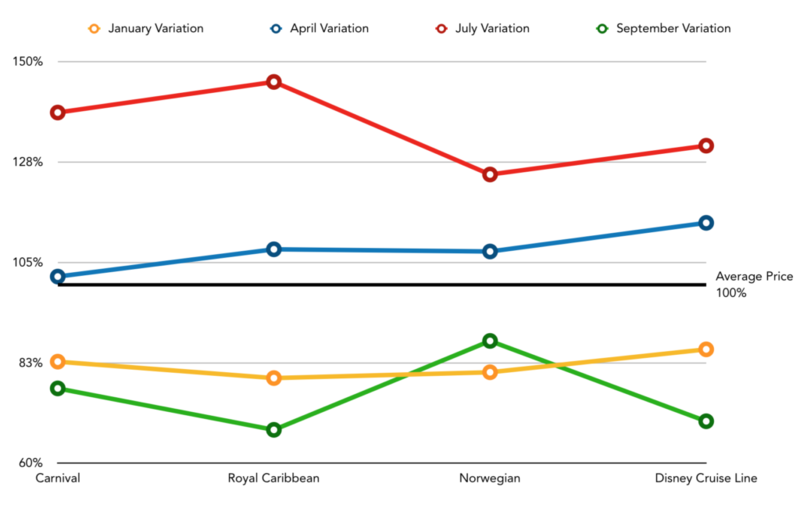 Overall, current “holiday hotspots,” where students being out of school appears to affect stateroom pricing and availability, include: Christmas, Summer, Mardi Gras (as much of Louisiana clears out to make way for the tourists), and President’s Day Weekend (which sometimes coincides with Mardi Gras, leading to especially crowded – and premium priced – cruises during those times). Two factors are the biggest influences on Caribbean cruise pricing. First, prices tend to be lower during hurricane season, from June 1 through November 30. The second major influence, particularly among the most family friendly cruise lines, is school breaks. The more students around the country are out of school at a particular time, the higher prices are pushed. The chart below illustrates this pattern. 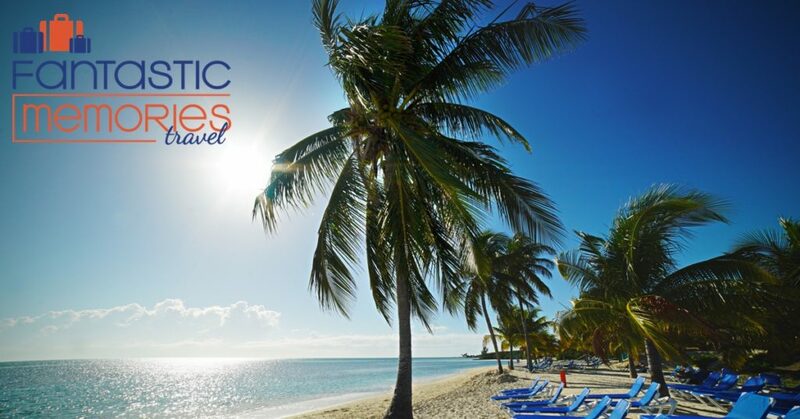 We generated sample prices for 7-Night Caribbean cruises for a family of four on four different cruise lines for cruises in January, April, July and September. The results below are expressed as percentages relative to the average price of the four cruises on each line. 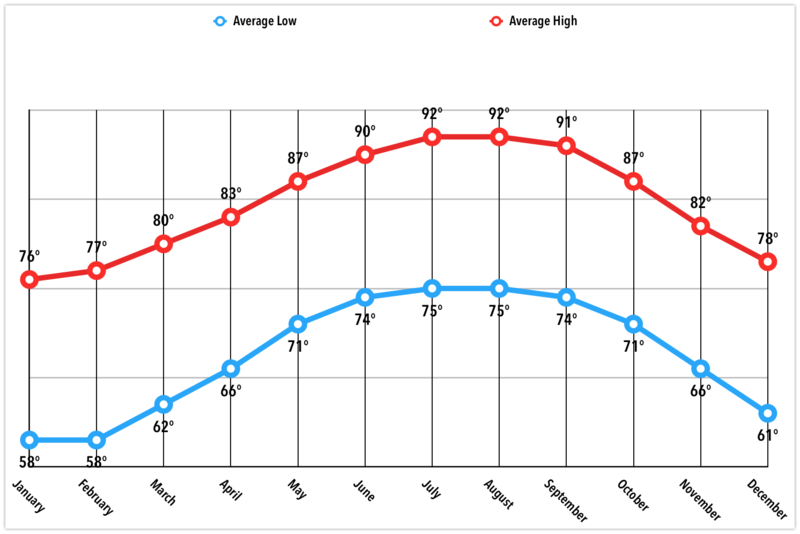 January and September prices are all at least 13% – and as much as 33% – less expensive than the average price on the same line. And July prices, especially, are a MINIMUM of 25% higher than average, and as much as 45% higher than average. The biggest spread overall was actually on Royal Caribbean’s Allure of the Seas, with the July price 78% higher than September. 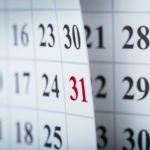 Sometimes, choosing a January or September travel date just isn’t an option. But when it is, the savings can be substantial.